Cape Town mayor Patricia de Lille welcomed the FNB and Silicon Cape partnership. First National Bank (FNB) is partnering with the Silicon Cape initiative, a non-profit organisation aiming to improve the ecosystem for tech businesses. The partnership, which sees the bank provide Silicon Cape with an annual amount of R1 million in finance and support over three years, was announced at an event held at FNB's offices in Cape Town last night. In addition to this monetary investment, FNB is also making some of the facilities in its Cape Town offices available to Silicon Cape members. The collaboration with FNB is a milestone for Silicon Cape, marking the initiative's first long-term partnership since inception. According to Alexander Fraser, CEO and founder of Stone Tree and a chairperson at Silicon Cape, the endorsement from FNB functions as a vote of confidence for tech-entrepreneurs and start-up businesses in the Western Cape and across the country. "South Africa needs an enabler and tech is it. As such, we can't afford to not have a vibrant tech community," said Fraser, stressing the importance of long-term partnerships for entrepreneurial networks like Silicon Cape. Fraser noted the important role big business plays in ensuring entrepreneurs have the support necessary to boost economic growth and create new jobs. Stephan Claassen, provincial head for FNB Business in the Western Cape, echoed Fraser's sentiments. "The partnership with Silicon Cape advances our contribution to creating an enabling environment for SMEs in South Africa. Our aim is to really try to help others to grow." He continued that the partnership will allow the bank to contribute towards the improved positioning of tech businesses to potential investors. When Tim Harris, the City of Cape Town's director of trade and investment, started working in Cape Town, the mayor, Patricia de Lille, took Harris to New York City to introduce him to a friend of hers. They met with former New York mayor Michael Bloomberg, who shared his vision of turning New York into the first digital city in the US. 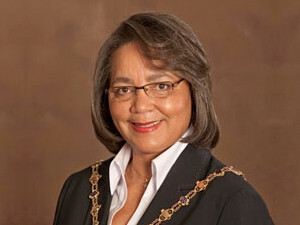 De Lille and Harris then shared their interest in turning Cape Town into the first digital city on the African continent. For Harris, it is partnerships like the one between FNB and Silicon Cape that will catalyse growth in the tech sector and bolster Cape Town's potential to become a leading technology hub in Africa. "Too often, ambitious plans can never be realised because the constraints are too high. That is why investments of this nature are so important," said De Lille, who was also at last night's event. De Lille highlighted the extensive broadband rollout across the city as one way that Cape Town is working to boost its digital capabilities. In addition, Cape Town is keen to become a digital centre for the region through strategic policy decisions, boosting connectivity speeds and adopting an open data policy to encourage the use of government data by innovative entrepreneurs. "The City of Cape Town wants to consolidate these interventions with good digital ideas, which requires partnering with groups like Silicon Cape and the private sector to make our dreams of making Cape Town a truly digital city become a reality. "In doing so, we will work together to make good ideas, great ideas," concluded De Lille.